Golfers of all ages want the same thing: somewhere to practice during bad weather. 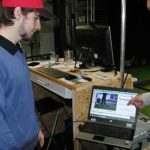 If poor weather keeps you home, it is time to visit Gerald’s new indoor center in Heimsheim, where he can show you your unique statistics on his Flightscope launch monitor. 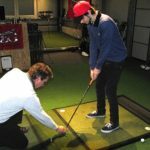 When you finish your fitting session, test some putters on the indoor putting green with artificial turf and real hole inserts for perfect analysis and training. When the weather is good, Gerald can meet you on the outdoor range at GC Bad Liebenzell. If you do not have the proper equipment, how can you improve? 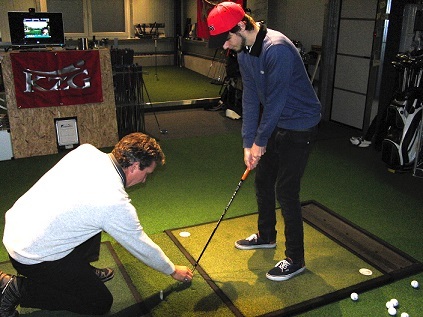 Gerald will guide you through the fitting process and using state-of-the-art equipment, he will frequency match your clubs, spine align and work with the technology to bring you exact specifications to improve your game. He uses high quality KZG golf clubs which you cannot buy just anywhere. The same fitting techniques and equipment that goes into building clubs for tour players can be found at Gerald Friz Golf +IT, where the Flightscope readings combined with advanced fitting software, frequency matching and spine aligning all point to your exact specifications that will optimize your performance. Not all golfers have the same experience, training or ability to play the game, so why give every player the same type of club? Gerald has many different models for you to try and at the end of the fitting session he will help you shoot lower scores with a set of custom fit KZG golf clubs. 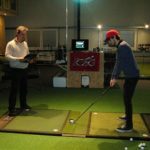 He is dedicated to building quality custom golf clubs for golfers of all skill levels and will select the right combination of club heads, shafts, grips and specifications to maximize each player’s game. Gerald provides a week long junior camp and a special junior demo day at GC Bad Liebenzell. He also hosts several golf teams in his practice facility over the winter. It’s a good time to polish your skills with a lesson and then be fit into KZG golf clubs. Gerald also offers Ladies Clinics . Show up on the golf course and surprise your friends with an improved game and high quality, specially selected golf clubs. Gerald belongs to many international groups including IPAC (International Professional Association of Club Fitters). He has also been honored as one of the World’s Top 100 ClubFitters for the seven years in a row (2012-2018). Gerald has KZG in his bag, playing a VC-420 Driver, VC-F Fairway Clubs, H370 Tour Hybrids, and Forged IV Irons. TESTIMONIAL: Gerald worked with Helmuth, a golfer that had lost distance through a combination of age, a broken hip and an injured knee. It is difficult for him to twist, so he primarily swings from the arms. Using lighter shafts, Gerald fit Helmuth with KZG HPS irons, H370 Hybrids and a higher loft KZG Driver. 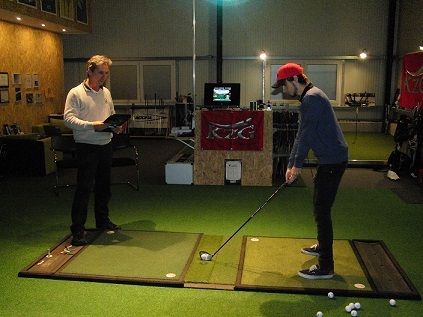 After using his new equipment for the first time, Helmuth commented: “Good news! For the first time in 10 years I made two pars in a round and I’ve got my distance back. I am so happy with my new clubs!” He is now going to add a 30° hybrid to his bag.